(11.04.2011) War Resisters’ International has learnt this morning that pacifist blogger and conscientious objector Maikel Nabil Sanad has been sentenced to three years’ imprisonment yesterday on charges of "insulting the military". Yesterday, in front of the military court in Nasr City in Cairo, his family and friends were told that the trial had been adjourned, while in fact it was happening, and Maikel Nabil Sanad was being sentenced to prison, without his family or lawyers present. This is an outrageous violation of the right to fair trial according to article 14 of the International Covenant on Civil and Political Rights (ICCPR). Maikel Nabil Sanad was arrested by military police in the night of 28 March, and has been kept detained since. He is being tried in a fast-track trial in a military court, although he is a civilian. The trial has been adjourned several times, most recently on Wednesday, 6 April 2011 for sentencing on Sunday, 10 April. Egypt is a party to the International Covenant on Civil and Political Rights. Freedom of expression and opinion is a human right, protected under article 19 of the ICCPR, as repeatedly stated by the UN Human Rights Committee. The newly approved interim constitution of Egypt also guarantees the right to freedom of expression, and the freedom of the press. In his writings, Maikel Nabil Sanad made use of his right to freedom of opinion and expression. This includes his right to criticise the role of the military during and after the revolution. The sentencing of Maikel Nabil Sanad to three years in prison is a violation of his human rights - especially his right to freedom of opinion and expression and his right to a fair trial. 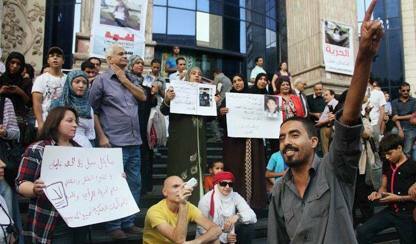 In addition, Maikel Nabil Sanad was tried in a military court, although he is a civilian. This again is against Egyptian and international law and legal standards. He was sentenced deprived of the presence of family and friends, which is a violation of the principle of public trial, an important aspect of the right to fair trial. Minister of Defence, His Excellency Muhammad Tantawi, Ministry of Defence, Cairo, Egypt, mmc@afmic.gov.eg; mod@afmic.gov.eg. A protest email can be sent at http://wri-irg.org/node/12728. War Resisters’ International calls on the Egyptian authorities to immediately release Maikel Nabil Sanad and all those other activists arrested during and after the revolution. 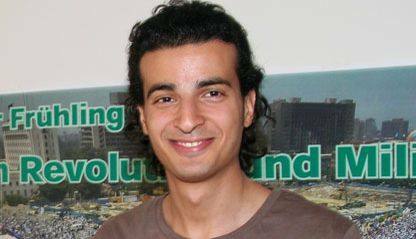 War Resisters’ International: Egypt: Pacifist blogger and conscientious objector Maikel Nabil Sanad sentenced to three years in prison. April 11, 2011.